In this mirthful, medieval Christmas story, a blizzard has brought a motley mix of commoners, merchants and courtiers together in a castle’s banquet hall. Farm animals have taken over the dungeon, the ladies-in-waiting are becoming impatient, Christendom’s oldest squire has the hiccups and Jabber the Jester’s outrageous antics aren’t helping. To pass the time, they all agree to perform a Nativity pageant, hoping to raise the spirits of sad Lady Dolores, whose husband is being held ransom in a foreign land. Don’t be misled by the simple set, colorful characters, slapstick humor and clever dialogue — this genuinely touching play has an inspiring Christmas miracle to warm everybody’s heart. 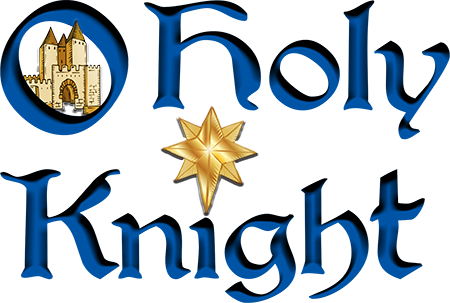 O Holy Knight is an easy-to-cast and stage tale sure to become a holiday favorite the whole family will adore.